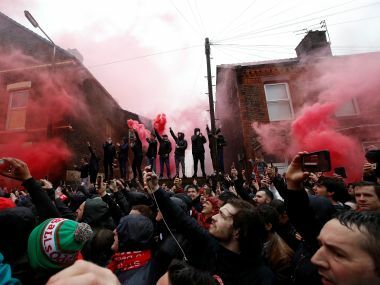 A 53-year-old Liverpool supporter was attacked by Roman hooligans outside Anfield before the first leg, leaving him hospitalised in a coma where he remains in a serious condition. 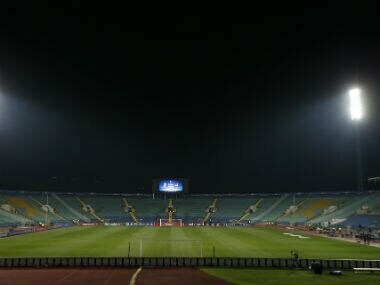 Turkish champions Besiktas failed to turn up on Thursday for the replay of their Cup semi-final against Fenerbahce which was abandoned last month due to crowd violence. 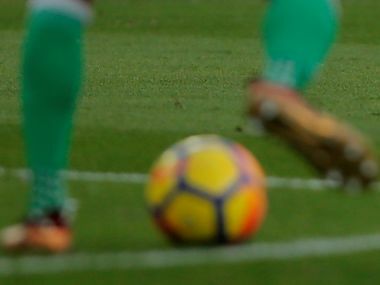 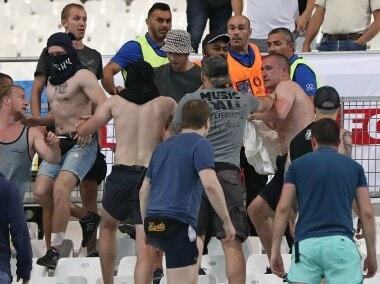 A policewoman almost lost an eye from injuries suffered after a homemade explosive was set off prior to the Levski v CSKA city derby in Sofia on Wednesday. 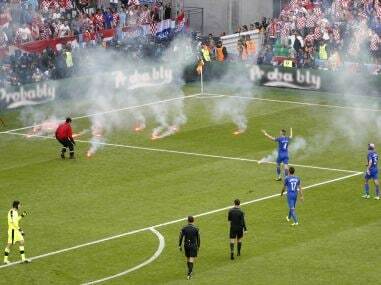 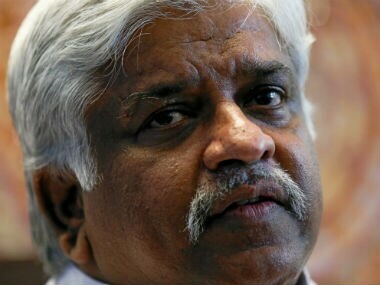 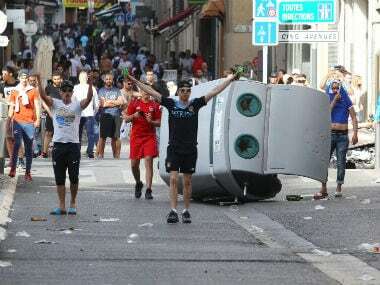 Fans threw projectiles at each other in the stands, invaded the pitch and later clashed outside the stadium. 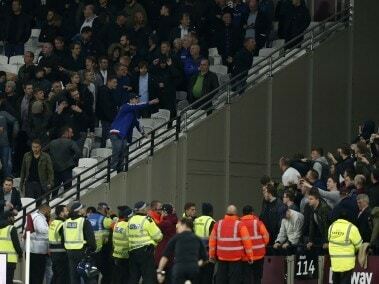 West Ham United said Thursday that up to 200 people faced banning orders after violence marred their English League Cup tie at home to London rivals Chelsea. 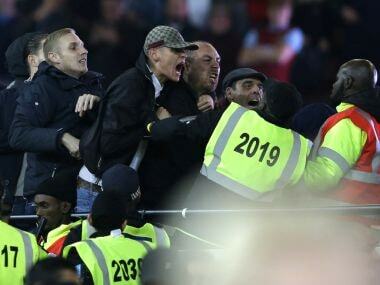 London police said they were holding Thursday seven men arrested following violence at the English League Cup clash between West Ham and Chelsea.